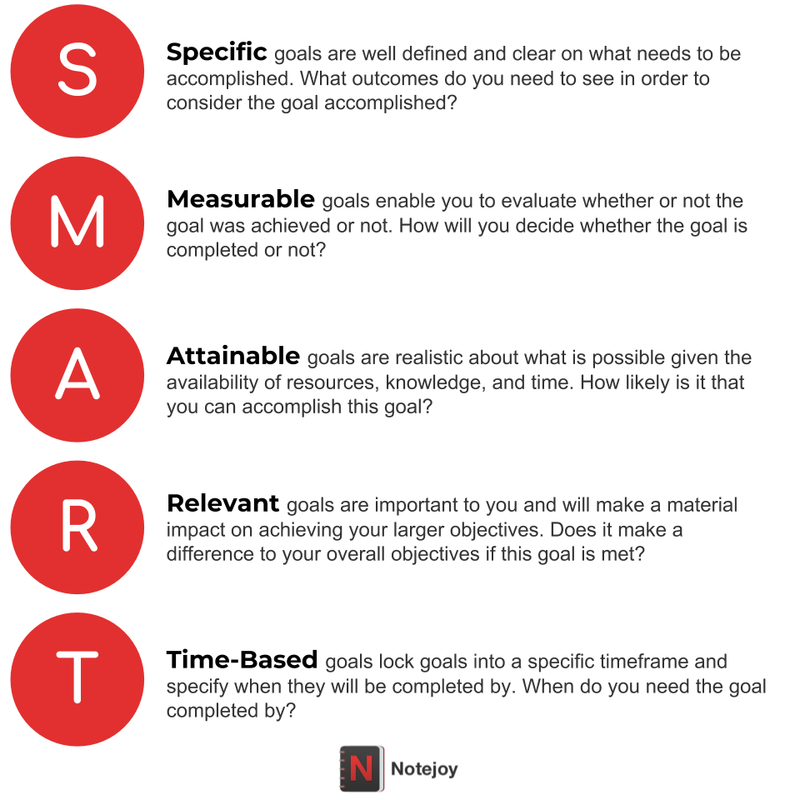 The SMART in Smart Goals stands for stands for Specific, Measurable, Attainable, Relevant, and Time-Based. In order to be a SMART goal, the goal needs to meet all five of these criteria. 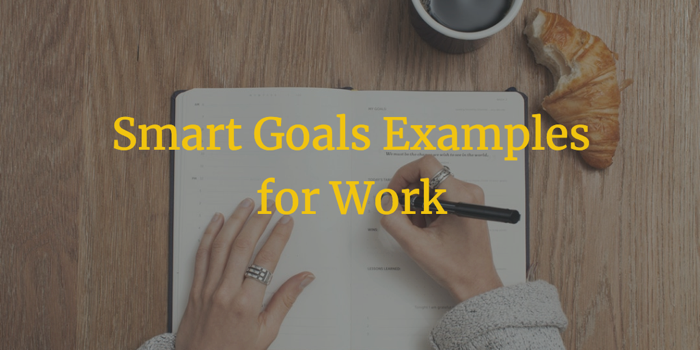 For a more detailed run-down on what each of these means check out our Guide to Smart Goals. As you review the examples below, notice how each outlines actions and timelines that need to take place in order to accomplish the overall goal. Each goal can be broken into specific subgoals to make them more measurable and achievable to accomplish the overall goal. Reduce overtime in the department from 150 hours per month to 50 hours per month by the end of the fiscal year with no increase in incident reports. Ensure that the 90%+ of the team has completed training on the new inventory management software by the end of the quarter. If you're implementing Smart Goals for the first time, here are a few tips on how to get started. If the team does not have a shared understanding of what a Smart Goal is, this is a sure recipe for disaster as far as getting specific and measurable goals in place. Run a training, have a meeting, send an email -- whatever it takes -- in order for everyone to understand all of the criteria for Smart Goals. Making the organization's goals public can be a powerful tool for driving alignment in your business's goal setting process. By being able to see the goals of their leadership and peers, employees have a stronger understanding of where they fit in in the process. See our guide on how to leverage Notejoy for goals for how-to and templates. In order for the entire team to be using Smart Goals effectively, it's important to have a system in place that encourages regular review and feedback on goals. It's often helpful for leadership teams to send out the initial Smart Goal plan with a calendar of events specifying when goals will be reviewed, finalized, adjusted, and finally evaluated. Do you want your organization to be setting Smart Goals that are very safe and achievable, or do you expect them to be reaching with Stretch Goals? By establishing a clear expectation of what Success looks like within the organization, leaders can actively encourage people to reach for ambitious goals. For example, a clear message that 'We expect you to achieve 70% of your goals and that is what success looks like. Achieving 100% of your goals is failure and means you set the bar too low.' is a very strong message. Every organization is a little bit different, both in its work customs as well as culture. Because of that, the way goal setting processes are established and run can be very different but still effective. Involve the entire team in the process by running an internal survey on the process. Notejoy makes it fast and easy to get your team on the same page to set SMART goals and establish them with pinned notes and templates. 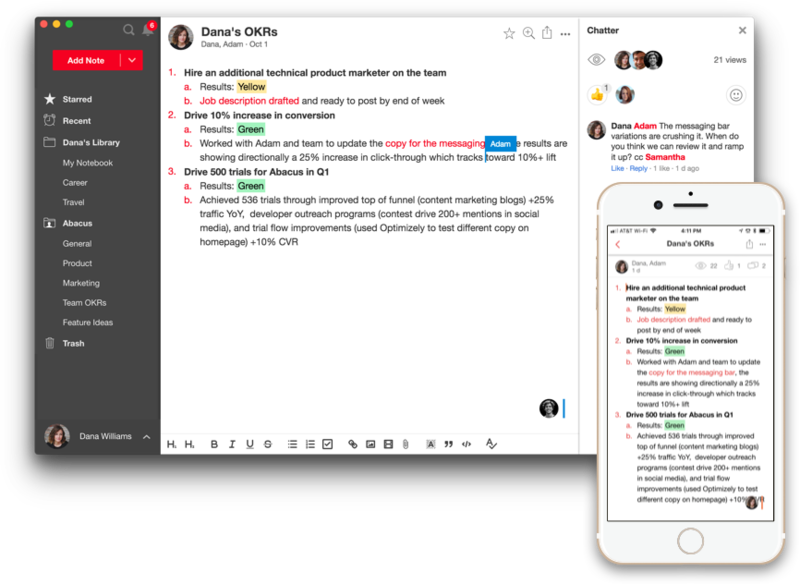 Real-Time Collaboration - As a cloud-based solution, Notejoy allows you to share your goals with internal and external collaborators. These collaborators can view, discuss, and comment on goals as well as view the latest version. Keep Goals in One Searchable Place - have one place to keep track of and maintain one system of record for your team's goals. Manage who has access to what information, and enable team members old and new to search across past and current goals.